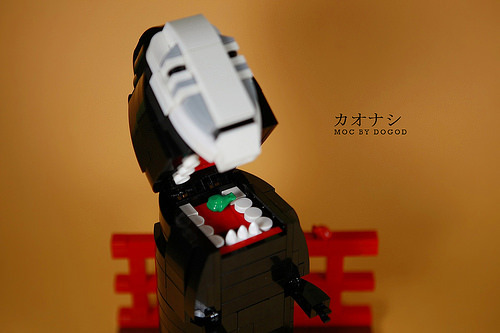 Unlike a much cruder version of No-Face that yours truly built back in 2010, this version actually features a hinged action revealing No-face’s terrifying mouth, complete with recently consumed frog spirit! 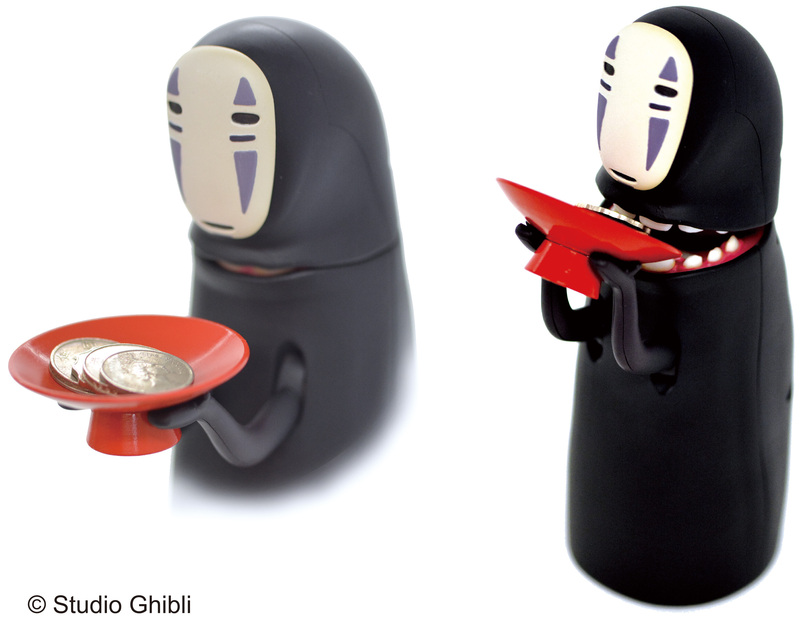 Which is also highly reminiscent of the motorized No-Face piggy bank that is currently at the top of my shopping list. 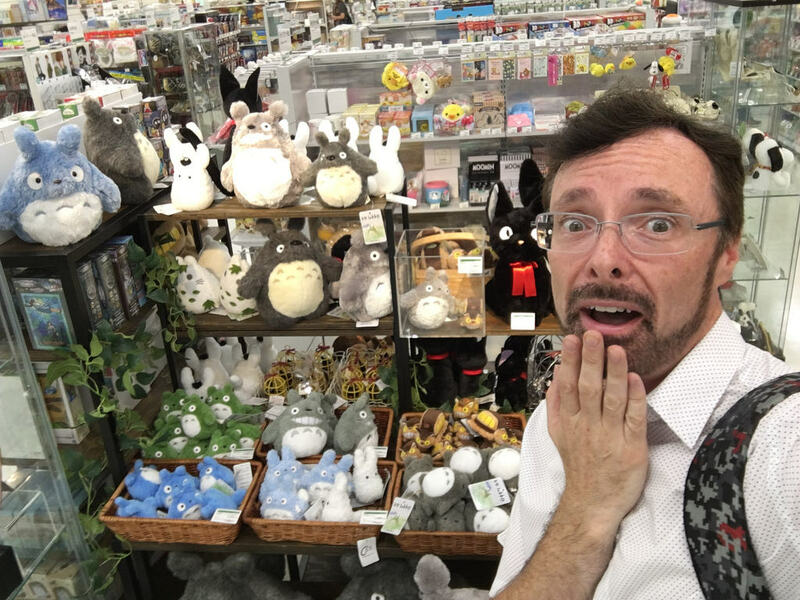 Even after six years, I still get requests for instructions to build the large Totoro that was part of my 2010 homage to the work of Japanese animator Hiyao Miyazaki. 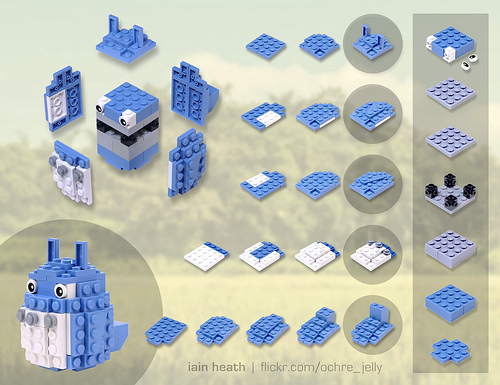 Sadly, that model is too large and complex to offer instructions, so instead here is a building guide for the medium Totoro that accompanied him. Of course, you don’t have to build him in the original medium blue; you can make him any color you like (or that your LEGO collection allows). 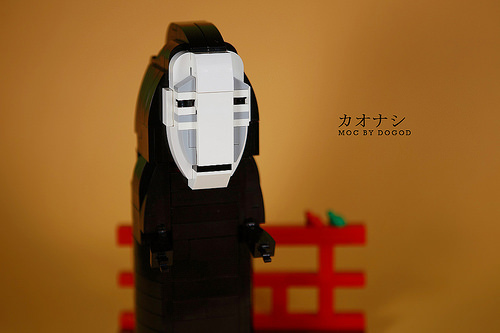 I imagine this would make a lovely desk ornament for yourself, or gift for the anime-slash-LEGO fan in your life. 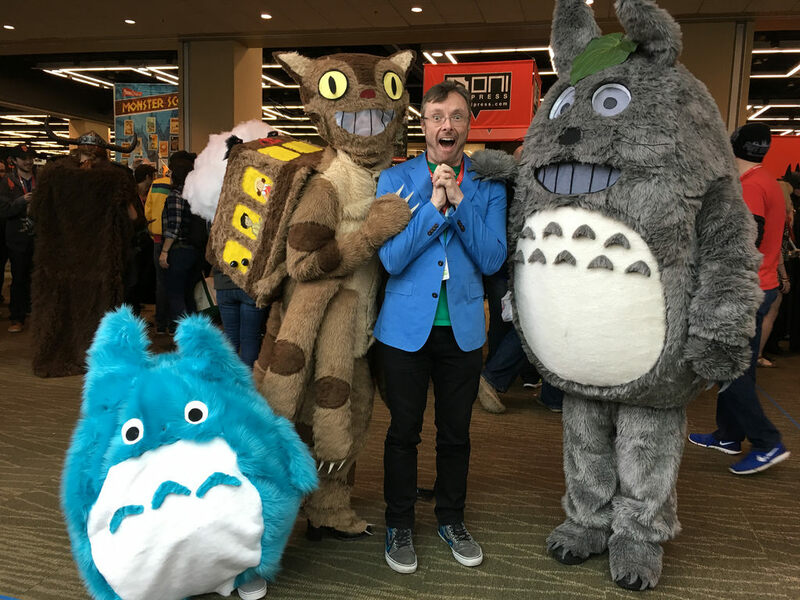 Click here to see an embiggened copy.